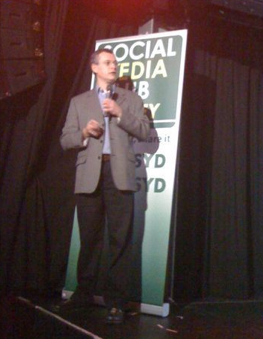 Tonight i had the pleasure to attend #SMCSYD (Social Media Club Sydney) at the Oxford Art Factory thanks to event organiser Grant Newtown. 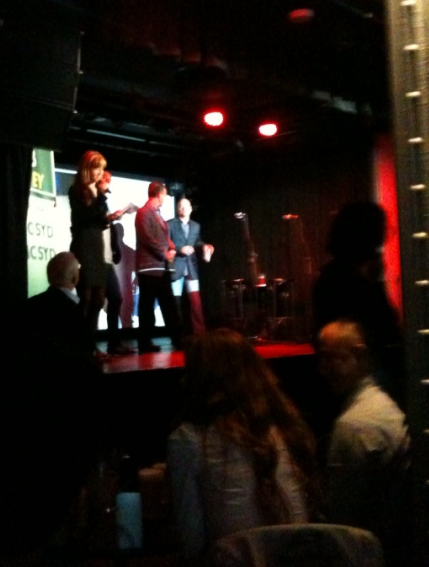 The night was focussed on how to better used LinkedIn in your business quests. First off was Cliff from LinkedIn. – half of Fortune 500 countries in the USA used the LinkedIn recruiter tool. – currently LinkedIn has over 1 million registered members from Australia. – LinkedIn removes fake profiles in 48 hours (im not entirely convinced on that one). – 70% of the LinkedIn Australian audience is between 25-52 years old. – 32% of members have a university degree. Compared with other major ‘executive’ online spaces in Australia LinkedIn is the leader. Yahoo7 is 2nd and NineMSN is 3rd both with under 20% of users having degrees. – Most people use LinkedIn as an online CV, address book. Business Developers can use LinkedIn groups to target customers and also polls with advertising. – Sign up to TripIt to see where your LinkedIn connections are moving around for work. – Build a strong brand on LinkedIn and business will come your way. – LinkedIn is still a very popular recruiting tool.